This post focuses on the relationship between art and catharsis and is a precursor to an exhibition I will be co-curating with Daniella Norton in June/July this year at Now and Again Gallery in Brighton, UK (see below for information on how to submit). The exhibition is currently open for submissions, and we are looking for artists who consider their work to be the result of catharsis or a cathartic act to submit. Catharsis is a term widely recognised to have originated in Aristotle’s work; most notably, his text Poetics. It is, in short, a process that provides relief (often psychological) through the expression of emotions or repressed experiences. Most writings on catharsis – historical and philosophical – speak of catharsis as a process that affects those experiencing or viewing a work of art or a play (see Aristotle’s writings on catharsis which focus mainly on the act of catharsis taking place for observers of tragedies). For the exhibition, we are taking this one step further (or perhaps one step sideways), and looking predominantly at the aesthetic result of a cathartic act in visual art. This idea of catharsis is something that links both the ‘mainstream’ art world and the ‘outsider’ art world; in fact, it links all artists, or, to go even further, every human. It is a universal process – and is something that reiterates the widely held belief that every human has the potential to be creative. Many well-known outsider artists did not create with an audience in mind. 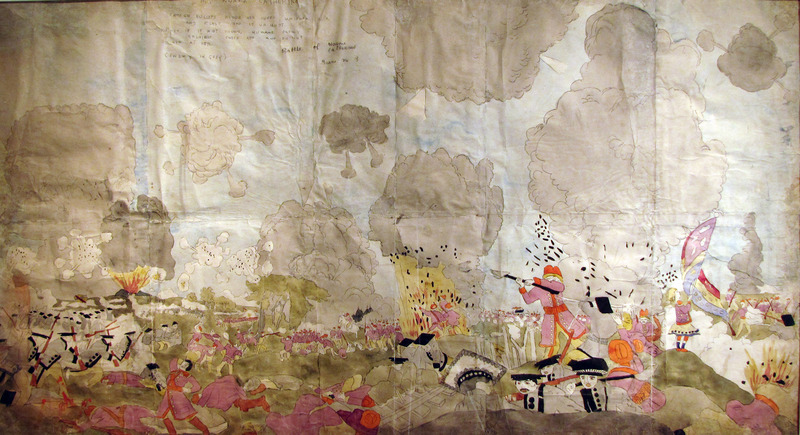 Henry Darger is a case in point – he never thought his work would be seen by anyone. So why create the vivid world of the Vivien Girls in the Realms of the Unreal for such a long time? Similarly, there are many ‘mainstream’ artists whose work is the result of a cathartic act. 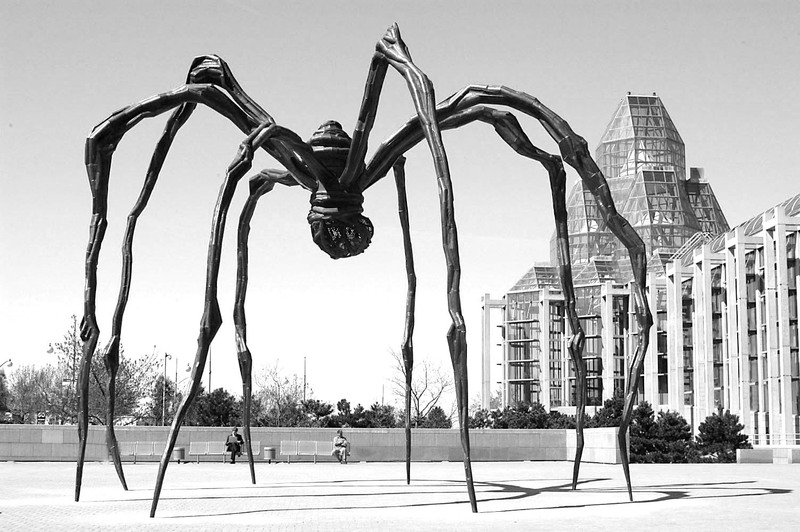 Louise Bourgeois’ work was “heavily influenced by traumatic, psychological events from her childhood,”  and the artist herself considered her practice to be highly therapeutic or cathartic. Sometimes, it is not the end result that is most important to the artist, but the intangible ‘middle-part’ in which that very end result is created. In this instance, the end result might be discarded, or not looked upon as ‘proper art’ (whatever that is) – or even art. With this exhibition, we want to shine a light on this very important – and interesting – work, because after all, why shouldn’t it have as much precedence as its ‘commercial’ counterpart? The dictionary definition of cathartic is: “providing psychological relief through the open expression of strong emotions.” It is the purging, or evacuation, of feelings and emotions. Work created as catharsis by artists might differ from their general artistic practice. It might be the work that is created for more personal reasons, the sort of work that is created regardless of whether anyone was ever going to see it or not. Or perhaps the term catharsis covers an artist’s whole practice. Maybe it is a piece that was the result of a powerful reaction to something whether made at the time or a later date. Perhaps many artists operate in a more ‘Brechtian’ state of unresolved or subverted catharsis, whereby there is no relief or rebalancing through the work at least; they carry on making and making and thinking and thinking. The viewer might leave the piece with unresolved thoughts akin to Brecht’s ‘activated’ audiences. However, this exhibition seeks introspective moments within artistic practice, where for whatever reason, a cathartic practice has taken place. We are keen to find artists willing to share work that they consider to have been made with some cathartic intent or result. To submit work, please send a jpeg image no larger than 1MB to: daniellacnorton@gmail.com. Please include: title, materials, dimensions, and state whether the work is framed or unframed. The deadline for submissions is Sunday 26 April 2015. Selected works will need to be delivered to the Gallery in Brighton by Sunday 24 May 2015. The exhibition will be held in mid-June through to July in Brighton and if your piece is selected you will need to pay the postage/courier costs and insurance to and from the venue. Please get in touch for further details. Your blog post looks AMAZING! So good…. I’ve put the basic blog post up, not had any time to sort out visuals yet, but will get there soon hopefully. I’ve twittered and face booked…. Fingers crossed for some viewings. As you say we can email, and art rabbit etc in next couple of days. Looking good so far.